Phoebe: What was the most important quality that you were looking for in a potential spouse? Theo: I was looking for a woman who loves God and desires to serve God and His people. Vanessa: I was looking for someone who puts Christ as his center of life, who dedicates himself wholly to God: a living sacrifice, holy and pleasing to God – a spiritual act of worship (Romans 12:1). Phoebe: How do you see your spouse matching the most important quality you were looking for in a lifelong partner? Vanessa: When I was first introduced to Theo, one of the first things I learned about him was that he is a pastor. I liked that because I respect pastors’ dedication to the Lord and their service to Him. As we were communicating, I found Theo very sincere and gentle in heart. I felt very peaceful chatting with him. I could feel that his love is powered from God’s love which reaches deep into my soul. As I got to know Theo more, his character displays the fruit of the Spirit. Through our prayers as a couple, I find that Theo commits everything that he does into God’s hand. Pleasing God, being faithful and obedient is Theo’s daily goal, and so is mine. This is especially important to me so that we’re one in heart and spirit to walk our life journey together. Theo: I was quietly praying for someone who knows Cantonese and would have the patience especially when it comes to my personality as an American born Chinese with a ministry calling. I was touched when Vanessa shared that she eventually thought being a pastor’s wife would be a privilege. I was also very impressed with the patience Vanessa had when I first met her, and have grown to truly appreciate that quality over our courtship and marriage. During our first date I got us lost in San Francisco because I don’t know the area at all. However, she never showed any anxiety or even questioned what I was doing or where we were going. Instead she placed complete faith and trust in me and my leadership, even though I relied on my iPhone map as a GPS guide. And Vanessa continues to demonstrate patience with me in all areas of our lives and marriage, whether it’s supporting me in the ministry, interacting with people or taking care of the home. Vanessa: During the period of waiting and searching for my life partner, I had shared with my friends about the most important quality that I was looking for. They said that was too high of a standard and would scare the guys away. God is so faithful. He brought me and Theo together, after the long but worthwhile wait. And we are amazed at how well we fit each other. 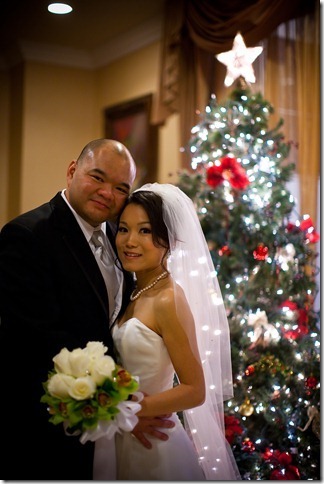 Theo Lai and Vanessa Szeo Lai were married on December 31, 2011. Theo is currently serving as the Pastor of English Ministries at San Gabriel Valley Alliance Church, where he and Vanessa are excited to be a part of what the Lord is doing to grow His people. Vanessa also oversees Presence Possibilities and has played a key role in the development and production of all the personality and career assessment packages now offered. Currently they live in Duarte, CA, where they enjoy entertaining guests and going on long walks. Phoebe Ng graduated from UCLA with a Bachelor’s Degree in English, and is passionate about impacting the lives of students. She has been serving in various ministry settings since 2006, including campus ministry, Christian gaming, church administration, and writing a Christian novel. She is excited to begin her studies at Talbot pursuing a M.A. in Spiritual Formation and hopes that one day she can live in a lego mansion with an endless supply of gummi bears.